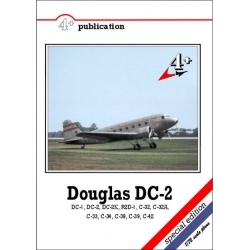 Douglas DC-2 Stanislav Dudek, Michal Ovčáčík, Karel Susa ISBN 80-902559-8-1 Soft cover, format A4, 84 pages. 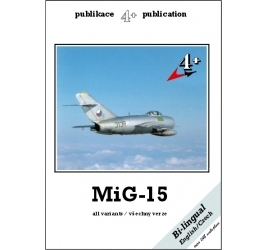 MiG-15 Fagot/Midget Yefim Gordon, Stanislav Skala, Jiří Bašný, Michal Ovčáčík, Karel Susa ISBN 80-900708-6-8 Soft cover, format A4, 48 pages. 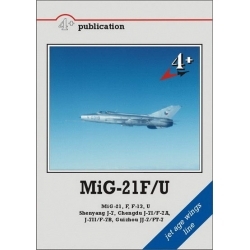 MiG-21F & F-13 Fishbed B & C and MiG-21U Mongol A variants Jaroslav Matoulek, Michal Ovčáčík, Ivo Pavlovský, Karel Susa ISBN 978-80-87045-01-5 Hard cover, format A4, 96 pages. Miles Magister Michal Ovčáčík, Karel Susa ISBN 80-902559-4-9 Soft cover, format A4, 24 pages. 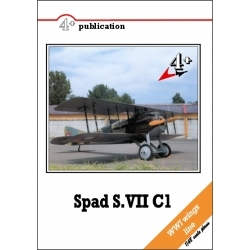 Spad S.VII C1 Martin Velek, Michal Ovčáčík, Karel Susa ISBN 80-86637-00-X Soft cover, format A4, 40 pages. Su-25 Frogfoot Jiří Bašný, Jiří Brázda, Michal Ovčáčík, Karel Susa ISBN 80-900708-5-X Soft cover, format A4, 56 pages. 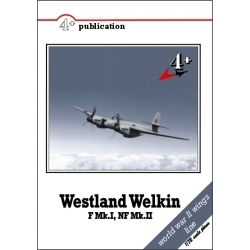 Westland Welkin Martin Velek, Michal Ovčáčík, Karel Susa ISBN 80-86637-01-8 Soft cover, format A4, 28 pages. 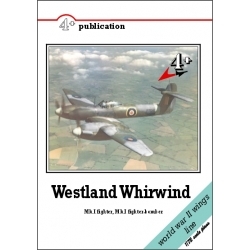 Westland Whirlwind Michal Ovčáčík, Karel Susa ISBN 80-902559-6-5 Soft cover, format A4, 28 pages.